Kerala, which has aptly been titled as the Gods Own Country is an abode to some of the most fascinating tourist spots in the country. This coastal state of India has a lot to offer ranging from the ripe coconuts to the spice plantations, from the hills of Munnar and Thekkady to the tranquil, palm fringed backwaters, from its exotic wildlife to the variety of flora and fauna and from its stunning, sun bathed beaches to its huge rice paddies. The Keralan land is rich in culture and tradition and is therefore sought for by a large crowd of travelers from all across the globe. Whether you are looking out for a trip with friends, a family vacation, a business cruise or a honeymoon treat, Kerala is the key. If you are planning your next trip to Kerala you dare not to miss any of these stunning places on the Kerala land. 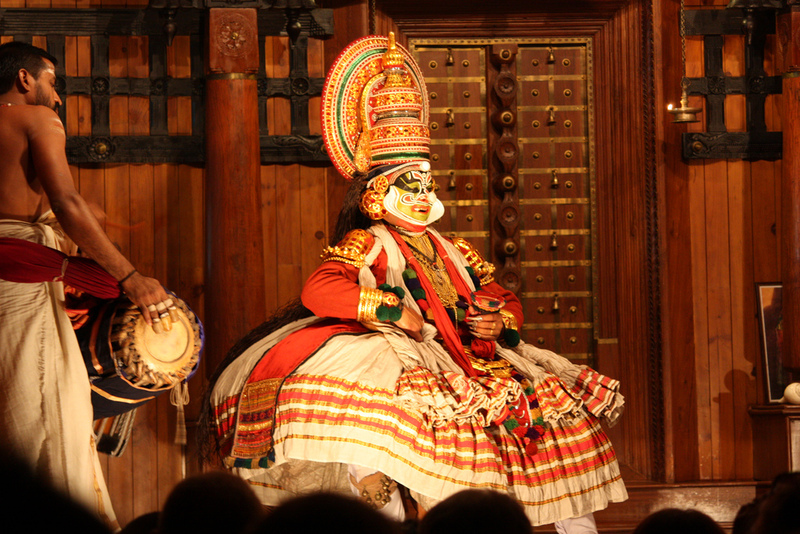 Kochi acts as the Gateway to Kerala and it hence marks to be the starting point for most of the Kerala tour packages. Beautifully located on the coast of the Arabian Sea, Kochi is a quite fast and modern city. The Fort Kochi reflects a mix of British, Portugese and Dutch cultures. Kochi is one of the finest natural harbors in the world and is also a booming metropolis city in Kerala. The Chinese fishing nets are a unique identity of the Kochi city. You can experience indulging into net fishing in the stretch of the coast along Fort Kochi. Alleppey Backwaters are well known for offering exclusive trips on houseboats. This beautiful destination had once been described as the ‘Venice of the East’ by Lors Curzon. A houseboat vacation allows you to check out the vibrant landscape, paddy fields, chapels, fishing with netting, ducks, water lilies and more. You are served with local Keralan cuisines in bananas leaves, which is a fascinating experience in itself. Alleppey boats offer the best backwater trips in Kerala in their fully maintained and traditionally decorated ambience. Some other major attractions include the Chettikulangara Bhagawathy Temple, Krishnapuram Palace, Arthunkal Church, Marari Beach, Pathiramanal and the Sri Krishna Temple. The hill station of Munnar offers panoramic views of extreme mountain slopes covered with 80,000 miles of green tea farms, low flying clouds and misty valleys. It holds to be a major centre for Kerala’s tea industry and boosts of many acres of tea plantations. The weather is usually cool and pleasant for sightseeing. Munnar features several beautiful waterfalls and hiking routes that lure many adventure enthusiasts. The forests here are rich in wildlife and are also a home to the endangered Nilgiri tahr species. Munnar is known for its Tata Tea Museum which gives a complete insight into the latest, fully automated technology used in the tea industry. It also features the Mount Carmel Roman Catholic Church, which is said to be the first Catholic church ever built in the High Ranges. A cluster of small islands on the Vembanad lake for the village of kumarakom. It is the best known location to witness the typical rural life of a Keralan village amidst tranquil backwaters, coconuts, authentic Kerala food and the warmth of fresh air. Kumarakom features lots of canals, waterways, lakes decorated with lilies, coconut groves, paddy fields and dense mangrove forests. This enchanting backwater destination in the country offers you a variety of leisure options and enticing activities like boating and fishing. Thekkady is most popular for its Periyar Wildlife sanctuary which preserves various species of animals that include elephants, tigers, gaurs and the very rare lion tailed macaques. Its scenic beauty and wildlife attracts several tourists and visitors from all over the world. You must not miss the opportunity to get into a boat trip in Thekkady lake, which is a worth taking experience in itself. Adventure enthusiasts can take the path from Moozhiyar to Thekkadi via Gavi to experience a trek through the thickest wooded miles of Kerala. The capital city of Thiruvananthapuram brings you a blend of serenity and city life. It is of great historical importance and has many stories to unfold. Dedicated to Lord Vishnu, the Padmanabha Swamy Temple is known for its charm, fame and the name. The temple has a mix of Dravidian and Kerala architecture and has been adorned with several ancient stone carvings and mural paintings. The city also holds the Technopark, which is the country’s first IT Park and Asia’s third largest. This Technopark makes Thiruvananthapuram a city of technology as well. This capital city is most renowned for its idyllic beaches and rich heritage. Despite of being the capital city, it is usually found free of any clutter or clamor. Varkala is an amazingly set seaside town which has been listed among the best beach places in Kerala. It lures thousands of tourists with its unmatched natural charm, high cliffs and amazingly luxurious resorts. The major attractions include Varkala Beach, Sivagiri Mutt, Janardhana Temple and Kappil Lake. The town is an important site for Hinduism followers. Tourists enjoy spending time on the beaches and are most likely to be found indulged in activities like body surfing the waves or glaring at the wonderful sunset scene. The cliff top itself is a home to some charming accommodations with fabulous views of the surrounding region. Kovalam is another great beach in India that offers you an opportunity to relax in the sun and indulge in ayurvedic treatments and deep massages. Kovalam has a crescent shaped beach that features a light house which provides an excellent view of the city. The Samudra beach and the Hawah beach look amazing on moonlit evenings. Its three curved beaches are very popular among tourists. Apart from being extremely beautiful, these beaches also host a number of entertainment and sports programs each day. The sea port of Vizhinjam is known for its special variety of fish that look stunning and the famous Vizhinjam mosque. Wayanad is the land of paddy fields and is undoubtedly a ‘Green Paradise’ in the state. The place is highly enriched in scenic beauty, traditions, wildlife, significant tribal heritage and agricultural abundance. The Edakkal caves, Banasura Sagar dam, Wayanad Wildlife Santuary, Tusharagiri Waterfalls and Sentinel Rockfalls are some of its major attractions. The Chembra Peak marks to be the tallest peak in the Wayanad region and unfolds great views of Wayanad as you climb up. However, climbing up and down the peak can consume one complete day for you. Camping at the top of the peak is also an exhilarating experience. Vagamon is an enchanting hill station set across the Idukki Kottayam border that pulls visitors from all across the globe to experience the natural ambience of the place. The place features meadows, gardens, dales, tea plantations, valleys, maintained lawns and fresh air to make your visit ravishing. Kerala has something worth exploring in every nook and corner of the state. These fascinating and heart captivating attractions of Kerala is what makes it one of the top tourist destinations in India. Posted on December 9, 2014 by Zaki.